Christmas baking has always been my favorite. This even came up on my Timehop this morning, so you know there's dedication in my family. My mom rarely made pies or cakes for Christmas, it was always a dozen types of cookies. While I love making some of her delicious recipes like shortbread and Italian butter cookies; I can never out-do the original. I've started making some of my own recipes and wait to have some when I go home. 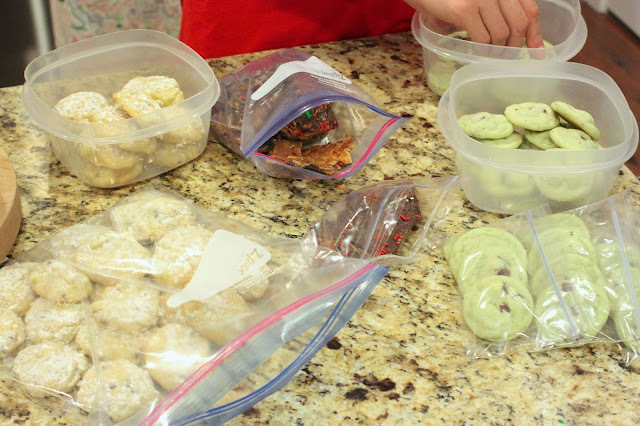 This year, I made three kinds to give out to neighbors, coworkers, and teammates: mint chocolate chip cookies, cinnamon crunch toffee, and ricotta cookies. The bark is super easy to make and takes only 15 minutes. The mint chocolate chip cookies are Mike's favorite, and who doesn't love getting to bust out the food coloring?! And, the ricotta cookies. YUM. They're soft and fluffy with the perfect little bit of chocolate. If you're looking for a last-minute cookie to make this weekend - these are it, for sure! 3. With an electric hand mixer, cream together butter and ricotta. 4. Add in vanilla and gradually mix in sugar. 5. Beat in egg and mix well before slowly adding in dry ingredients. 6. Fold in mini chocolate chips. 7. 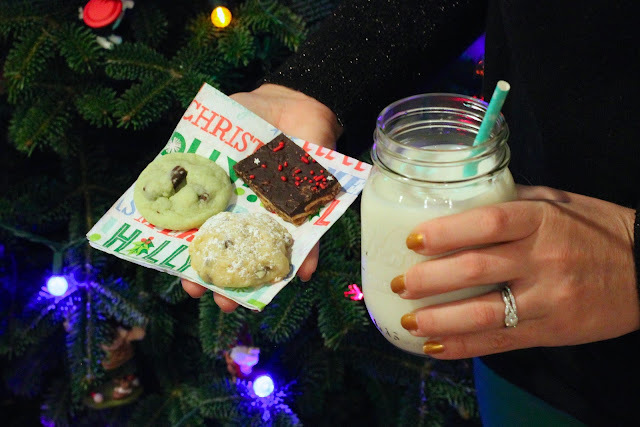 Drop cookies from a half tablespoon onto a greased cookie sheet and bake for 10-12 minutes. 8. 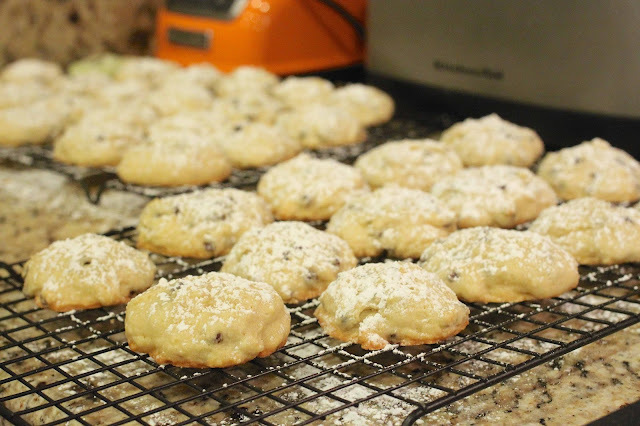 Allow cookies to cool and dust with confectioner's sugar. We packaged them all up and hopefully everyone enjoys them! A kitty after my own heart - haha! If you're looking for even more delicious Christmas ideas, you can see my recipe & craft round ups here: 2013, 2014, and 2015.
ok all of these look delicious! 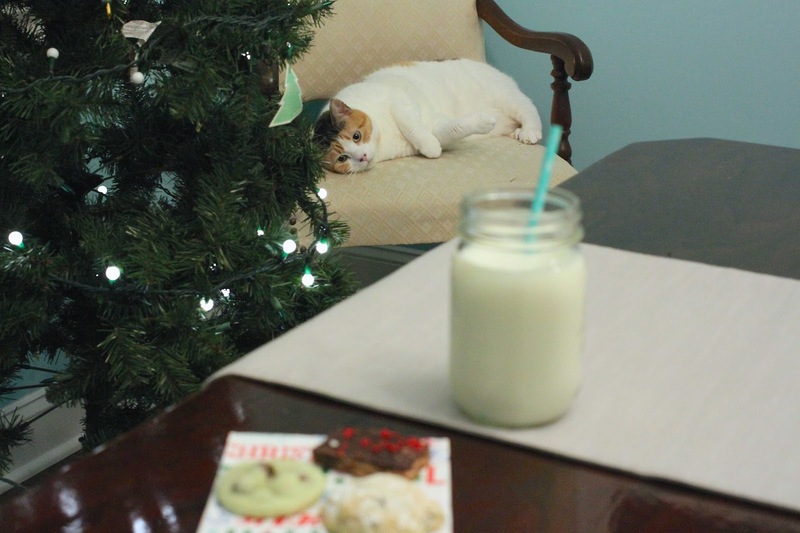 and your kitties - just adore :) that mint chocolate one is def on my list! Yum! I haven't baked anything this year so far, but several people at my office have baked and brought goodies up to the office and I'm loving it! Those ricotta cookies sound so good! I love mint chocolate chip!! Oh you're making me so hungry! 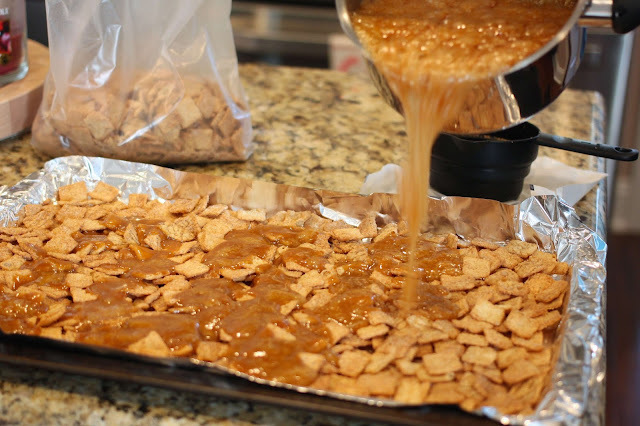 I'm sorry...toffee made with CINNAMON TOAST CRUNCH?! Uh, yum! All three of these sound sooo good! 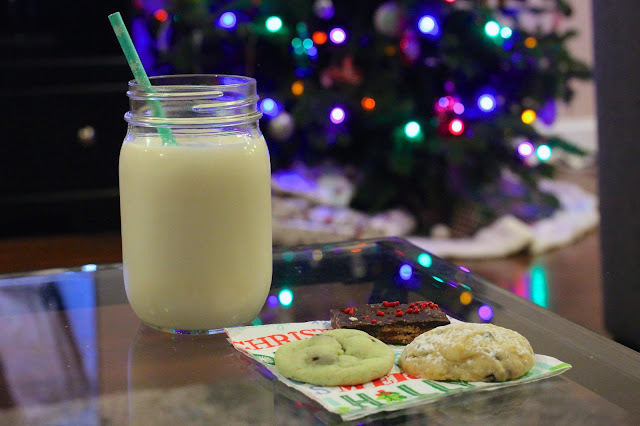 I definitely prefer the cookies/bars over the pie at Christmas. 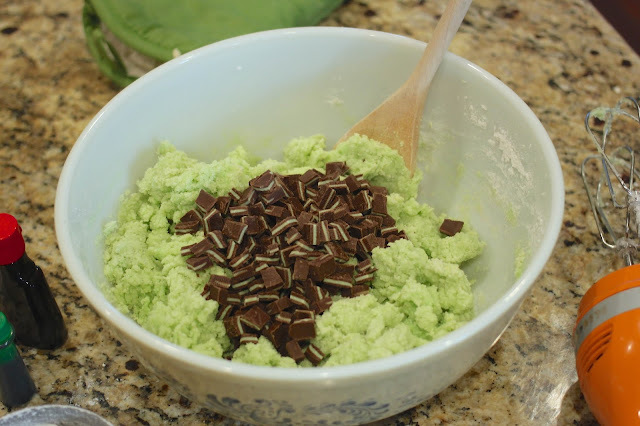 Mint chocolate chip is my favorite flavor combo, I'm going to have to try those out! And I fell in love with ricotta when we were in Italy earlier this year, this one is so intriguing! I agree with Mike - mint chocolate chip is where it's at! 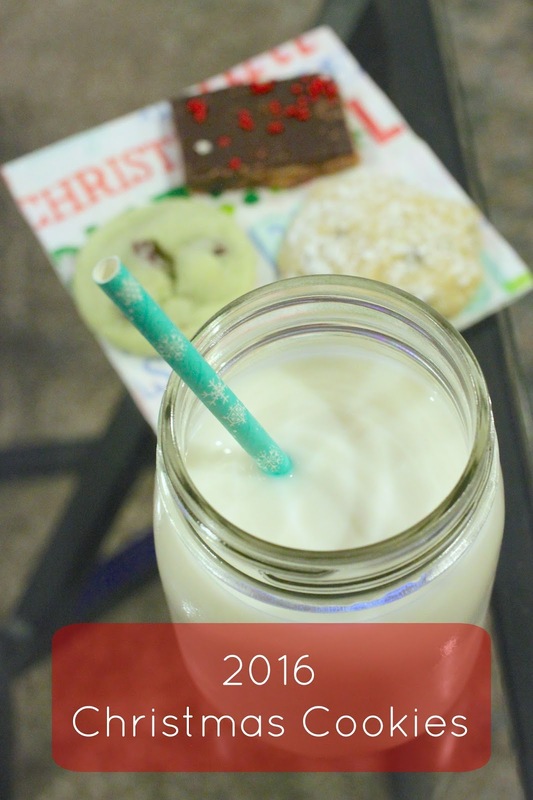 ricotta cookies sound so good! I was just searching Christmas cookies on Pinterest to look for something different to make this year. We have some ricotta in the fridge that we probably won't use, so I'm definitely intrigued by those!